The Golden Eagle (Aquila chrysaetos) is the largest bird of prey in North America. Their giant wingspan is between 6 and 8 feet, which is more than double the length of their body. These speedy birds hunt fish and small game, and are capable of carrying nearly 3 times their own weight when hunting. 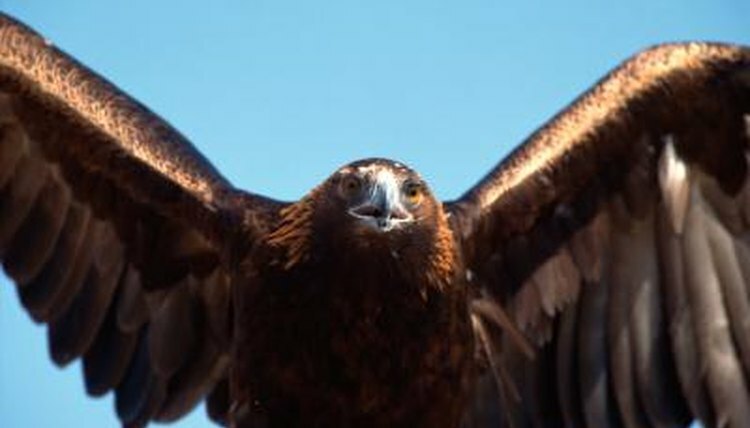 A Golden Eagle can reach impressive speeds of up to 32 miles per hour when flying through the sky. What's more astonishing is that they are even faster when on a hunt. These magnificent birds can glide at speeds of up to 120 miles per hour and have been recorded diving for prey at up to 150 miles per hour.